Spring has sprung…so…let it grow, let it grow, let it grow! 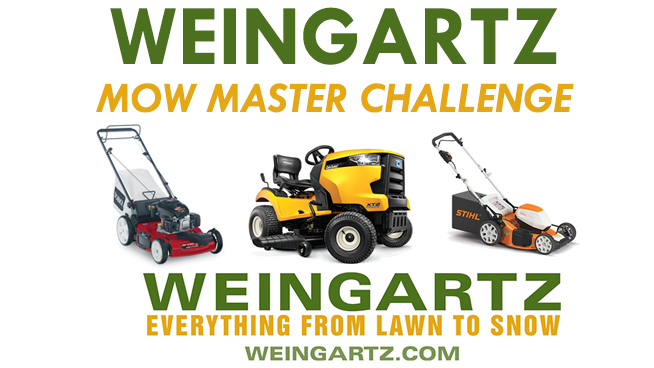 Play Weingartz’ MOW MASTER CHALLENGE! for your chance to win a $500 Weingartz Gift Card to use toward a new mower or lawn equipment. Click through to listen to the audio clips, pick out the sounds of a mower, and complete the registration form to enter. A healthy lawn is a happy lawn, and you need quality tools to keep yours growing green … Weingartz, Everything from Lawn to Snow!